Building on a great 67-year foundation, Second Baptist Church is undergoing a major facelift! They have recently renovated the sanctuary and upgraded their media technology. This organization’s outreach starts with North Las Vegas, but branches out to all of Clark County, NV. 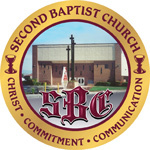 Second Baptist Church offers a meaningful opportunity to volunteer not only in August, but throughout the remainder of the year. The Step Up! Mentoring Project focuses on providing adult mentors and the community an opportunity to support, guide and assist with raising a local youth who is at risk or who just needs a role model in his/her life. Mentors will encourage the mentees’ to put God first, improve their community, improve their communication skills, respect themselves and others and focus on career goals. For more details and to sign up click HERE.